According to the Center for Disease Control (CDC), the loss of strength and stamina that occurs as we age is due to the significant decline in physical activity. This could explain why carrying and putting away groceries, cleaning, and other normal daily activities become difficult. This phenomenon can also be defined as sarcopenia, or age-related sarcopenia. The biggest prevention for sarcopenia? Physical activity and exercise. 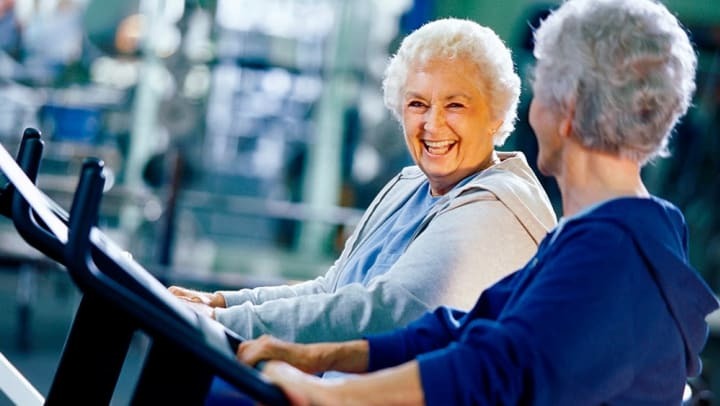 For most of the older population, terms like “exercise”, “resistance”, or “strength training” can hold a stigma that used to be predominantly owned by bodybuilding. For beginners, especially elderly, this can seem intimidating and is quite frankly, unfit. But I’m here to tell you that the world of exercise and fitness has changed greatly and is continuing to change. What used to focus on growing and building single muscles or muscle groups (e.g. 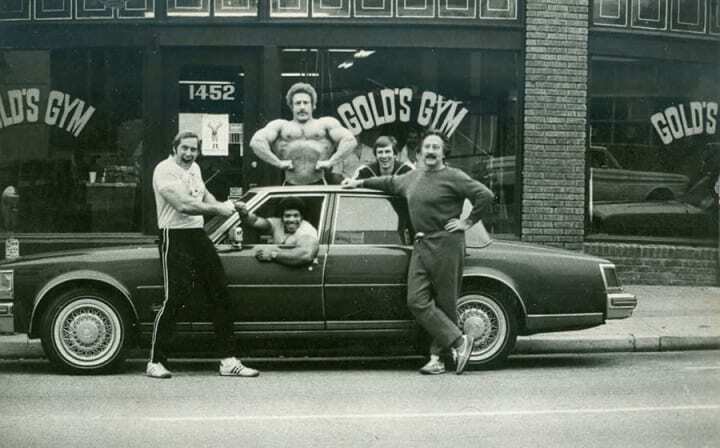 bodybuilding), has now shifted into what we call functional movement or more simply put, movement. Although it can be, exercise doesn’t have to be done in a designated gym or environment with weights and exercise equipment. There are plenty of beneficial options for adding physical activity into one’s life that doesn’t require a gym, and will still greatly improve anyone’s overall health and the quality of their day-to-day life. Human bodies are designed to move. Take a look at your grandkids (or great grandkids) that are running around and notice how they move. They can squat down, bend over, pick things up, twist, turn, and move their bodies in all sorts of directions without limitation. They don’t have back pain, or aching in any areas of their body. Still new to the world, they haven’t yet been conditioned into our world of sitting, sitting and more sitting, like us adults have. We are at our best and most optimal state when we continually work, move, and condition our bodies. Now, this doesn’t mean that all day, every day we are running around at our maximal effort, lifting ridiculously heavy weights, or spending hours on an elliptical machine -- it just means exactly what it says, move your body, and it’s a lot more simple than it may seem. The goal is not to build specific muscles to look good, but to rather work toward being able to move our bodies at that kind of level. Although we might not get there, it is immensely beneficial for us to simply try. Now you might be thinking, I’ve already spent years this way, and I’m fine, or there’s no way it can make me feel any better. The fact is, whether you’re in seemingly tip-top shape or feeling like you’re light-years from it, implementing something this simple can make a great deal of a difference. Here are just a few of the benefits physical activity can offer you. While you read, notice how these compare to the listed symptoms of sarcopenia from above. Helps reduce blood pressure (especially helpful if you have hypertension). Supports maintaining the ability to live independently; reduces risk of falling and the consequences that follow, such as fracturing or breaking bones. Helps manage and potentially reduce chronic and disabling conditions by improving stamina and muscle strength. Reduces risk of dying from coronary heart disease. Reduces the risk of developing: high blood pressure, colon cancer, diabetes. Helps maintain healthy bones, muscles, and joints. Helps control joint pain and swelling associated with arthritis. Reduces symptoms of anxiety and depression. Aids in improving mood and feelings of self-satisfaction and well-being. Besides the physiological benefits that were just listed, exercising will bring a sense of purpose to one’s life. Especially for someone aging, it is common to feel a loss of purpose and to feel secluded or lonely under many circumstances. Exercising provides options for one to become social as well, joining a gym, club, or simply asking a spouse or friends to join. Let it be noted that resistance and strength exercises are the most important of the three, especially if we are experiencing the symptoms of sarcopenia. These exercises help us be human and perform our normal daily functions such as: cooking, grocery shopping, picking things up and putting them down, sitting down and getting up, showering, bathing, brushing teeth, combing hair, and getting dressed. They require energy and strength, which we acquire from performing various strength and resistance exercises. These recommendations are set by ACSM as a standard, or average, based on the general population by age. There are always specific considerations for each individual, especially elders, given their special circumstances and limitations. Right out of the gate, those numbers might not be achievable, which is completely normal. Don’t let that discourage or overwhelm you, we have some great tips for implementing a reasonable program. Overall, these can be used as a point of reference, or goal to reach. Please consult your doctor or physician before beginning any exercise program. 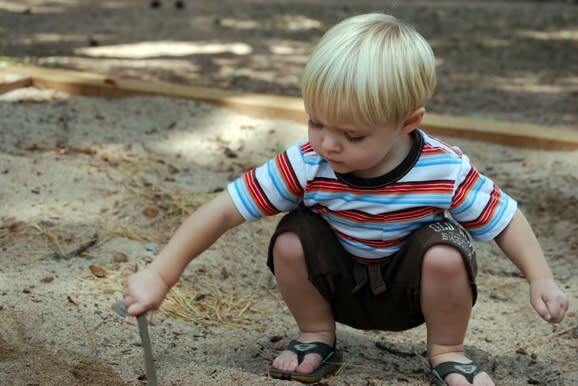 The number one tip we have for those just starting out is to start small. As a beginner implementing an exercise routine or program, you don’t want to get too carried away. In doing so, you could put yourself at risk for injury or other unwanted effects and problems. The second tip is to not be too hard on yourself. You’re just starting out, whether it’s “again” or for the very first time, let this be an enjoyable and fun experience, all while learning and growing. The more you do it, the better you’ll get. We also highly recommend asking a caregiver or a loved one to be present or at least aware when you will be exercising, that way your safety is ensured. The CDC reports that, “among adults aged 65 years and older, walking and gardening or yard work are, by far, the most popular physical activities.” That’s a great place to start! These activities are simple and achievable, especially for the senior population, as it bypasses a lot of the limitations that come with aging. They will also help build a foundation to advance and progress from, into other forms of activity. Choose a form of aerobic exercise, (walking, gardening, or even swimming and biking) and begin with 5-10 minutes, taking breaks when necessary 1 day out of the week. If you’re feeling well after this day, you can try 2-3 days (preferably spread out, i.e. Monday, Wednesday, Friday), and then every day. From there, you can then work up to bouts of 10 minutes, beginning with two 10 minute bouts, then three, and so on. Over time, you can easily begin to transition into steady 30, 45, or 60 minute times. This will make your aerobic implementation much more manageable. If gardening is of access, you can apply the same principles to begin. Spend 5-10 minutes gardening to begin, then as you see fit, implement longer periods of time with potentially more challenging projects. Gauge your choice of exercise and the frequency in which you perform it for the first couple of weeks by how you feel. Although we recommend hiring or seeing a certified trainer, we realize that isn’t always an option. There are some great online resources that allow you to exercise anywhere at anytime. If there is one thing you shouldn’t do, it’s to ignore resistance and strength exercises. They are the most overall beneficial to seniors, and the overall population. 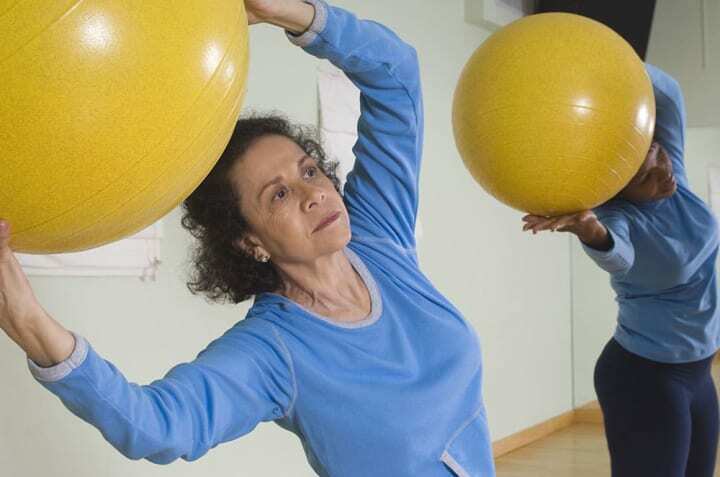 UsNews Health as a great article with strength exercises for seniors: 8 Best Equipment-Free Strength Exercises For Older Adults with exercises that can be done right in the comfort of your home, with step-by-step instructions on how to perform each one. 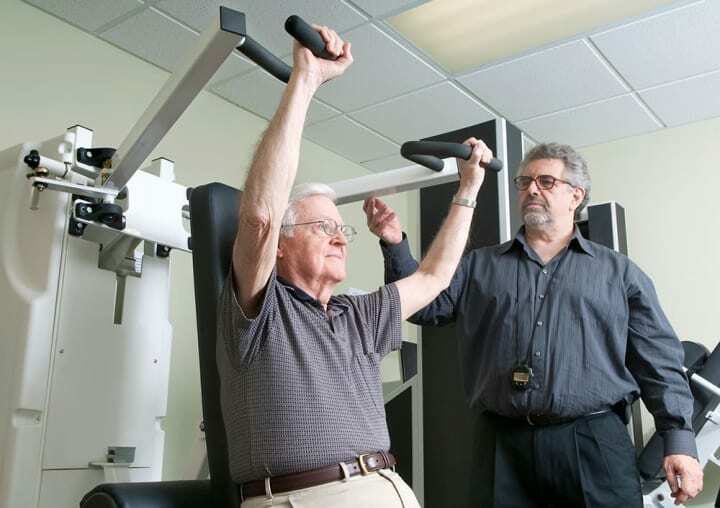 Another great article by Philips Lifeline has 14 exercises with instructions for seniors. For your first time, choose 8-10 exercises and perform one round. You can do this on an off day where you are not performing aerobic exercise or, if you feel you are ready, you can do them on the same day. If you choose to do them on the same day, do your aerobic exercise first. Work your way up to three rounds of the 8-10 exercises over the next month or so. As always, gauge your frequency on how your body feels. If performing specific exercises doesn’t seem to suit you, gardening can also supplement resistance and strength benefits. Shoveling, picking up bags or boxes of soil, moving around pots, and other tools that are often used in gardening, can also provide you with these same benefits, all while also providing you with some aerobic benefits. The above articles that provide beginner exercises, and exercise routines for seniors offer both strength and flexibility movements. They also focus primarily on balance, which is key to the prevention of falling and injury in the elderly. Another great option for seniors is yoga. In itself, yoga can encompass all three of the areas of exercise we talked about, especially strength and flexibility. Yoga can be done anywhere, anytime, by anyone. 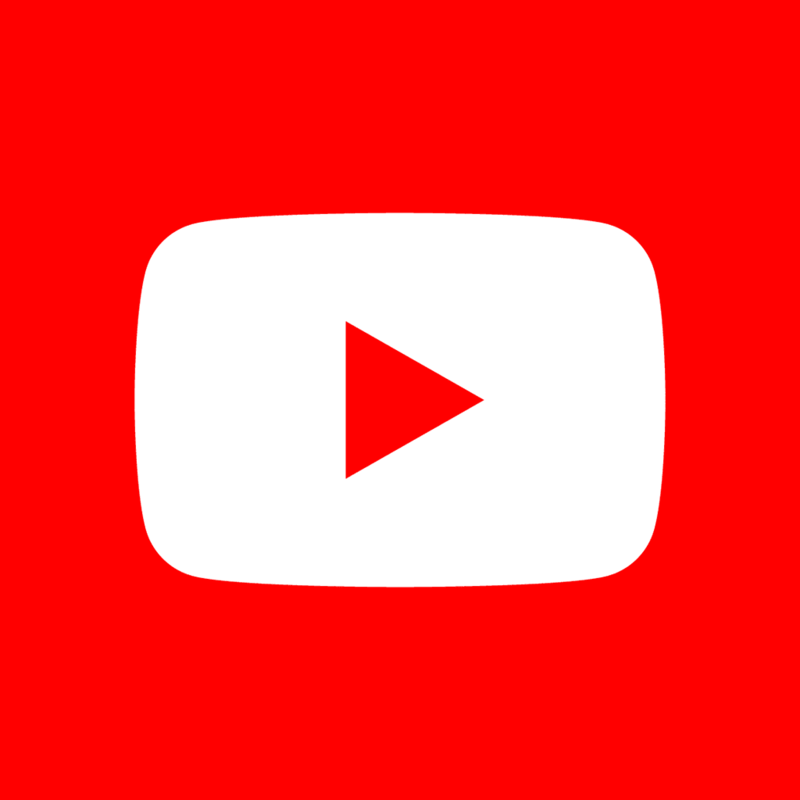 There are some great channels and videos on YouTube for beginners yoga, yoga for seniors, and variations of chair yoga. Ask your caregiver or a member of your staff facility to help you find a video best fit for you and invite some of your friends or neighbors to join you, or better yet, make it a community event. If it is an option, you can also research the local yoga scene in your community to see if there are any options for seniors. 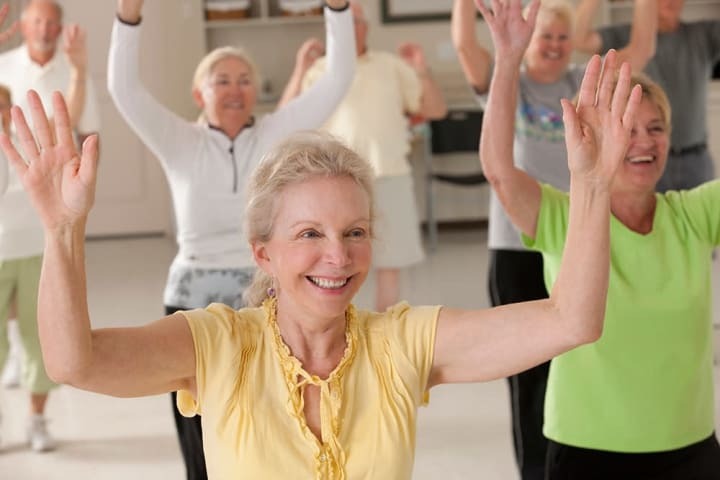 When it comes to something as simple and life-altering as movement, you can see that the options are endless for adding more of it into your life, even as a senior, and we hope that by now, you understand the benefits of doing so. There are also other ways you can improve the overall quality of your life, like Americare's 3 simple and fun tips for seniors to stay healthy. Ask a spouse, a friend, or a family member to embark on this journey with you. This will offer support and accountability for both of you, plus, it will make it more enjoyable and fun. Remember, there is no better time to start than right now. For more senior and senior living tips, sign up for our mailing list. Interested in Americare’s senior living options? You can explore the five different types of senior living facilities that we offer or speak with one of our eldercare advisors directly: 573-544-0745. We're dedicated to helping you, every step of the way.